Sixteen teams will compete in the 2017 Fiji, Australia, New Zealand, Canada and America (FANCA) International Club Championship next month. This was after the pools were drawn at the Fiji Football Association headquarters in Vatuwaqa, Suva yesterday. The tournament is organised by the Fiji Muslim League and will be held on October 5-8 at Prince Charles Park in Nadi. Vodafone Fiji is the major sponsor for this tournament. 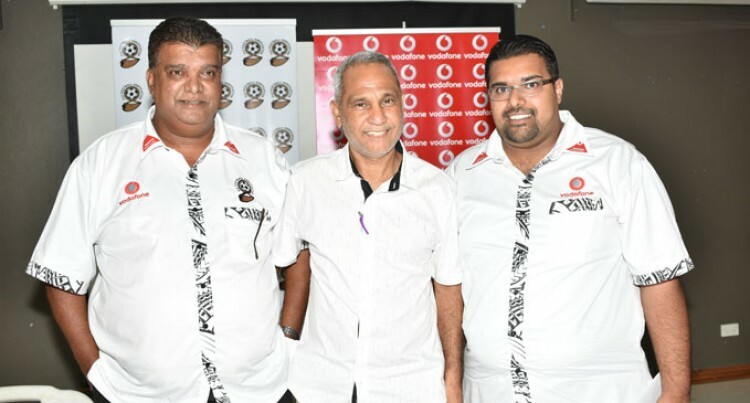 Fiji FA chief executive officer/FANCA president Mohammed Yusuf was grateful for Vodafone’s sponsorship. “FANCA international club championship is a concept we started way back 12-15 years ago to raise money for the Fiji Muslim League,” Yusuf said. “Also, this year we have 16 teams competing of which 8 spots are reserved for overseas clubs while the others are for local teams. Vodafone sponsorship specialist Shamal Sharma was grateful for the opportunity to be involved in the tournament. “Vodafone is already the major sponsor for football in the country and we are very proud to put our support towards the 2017 Vodafone FANCA club championship,” Sharma said. D: Otahuhu, Makoi, Rewa, Rarawai.